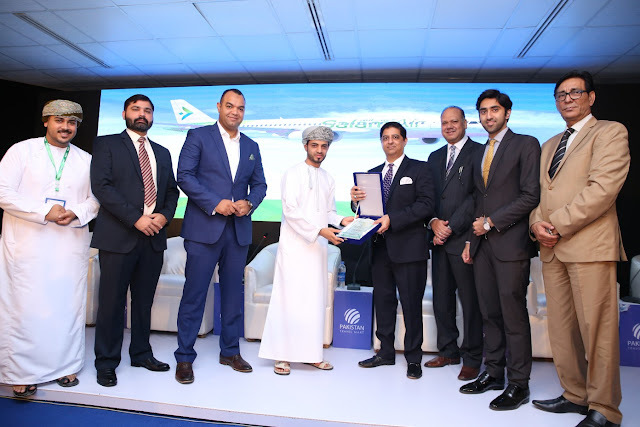 SalamAir, Oman’s first budget airline was launched in 2016 to meet the country’s rapidly increasing demand for affordable travel options and to generate further opportunities for employment and business creation within the various sectors in Oman. SalamAir recently added direct flights to Khartoum, Kathmandu, Najaf and Dhaka to its expanding network. With the addition of these new routes, Oman’s 1st low cost carrier has recently achieved another milestone of carrying one million passengers as of 1st October 2018. SalamAir started its operations to Pakistan in 2017 and currently fly to three cities, Karachi, Multan and Sialkot with 3 flights a week offering guests more choice and flexibility to plan their business or leisure travels, while meeting their needs. Catering to this strategic growth, the airline recently announced the addition of six brand new Airbus A320neo aircraft to its growing fleet. It is expecting the delivery of one purchased Airbus A320 neo by Q4 2018, and five leased Airbus A320neo by Q1 2019. The new A320neos are specifically customized for SalamAir to seat 180 guests, allowing more space and boosting comfort levels. The new destinations complement a wide spectrum of traveler needs. Khartoum is the airline’s first African destination and first direct flight to Sudan’s capital, while Kathmandu is the airline’s fifth Indian sub-continent destination. In addition, and in response to the high demand from the Oman, GCC and Indian subcontinent markets ,SalamAir is also flying four times a week to Najaf in Iraq. In less than 2 years’ time, SalamAir network expanded to 16 destinations including Muscat, Salalah, Suhar, Dubai, Doha, Jeddah, Karachi, Multan, Sialkot, Shiraz, Tbilisi, Baku, as well as newly introduced Dhaka, Kathmandu, Khartoum and Najaf. All routes offer a choice of three easy fare options: Light, Friendly & Flexi. A cost-conscious menu of additional services is also available to guests, which includes extra luggage allowance, seat selection, and priority check-in.